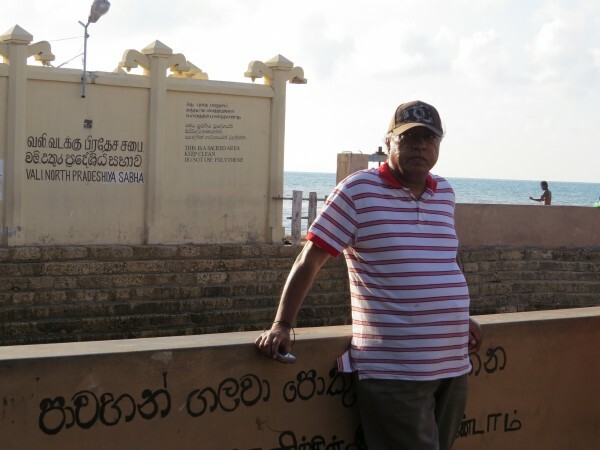 For David – who regards himself not as an emigrant but as an émigré – Sri Lanka has always been home, and the hope of return is what sustained him all these years. “The hope of return loomed larger and larger after the war ended and finally it became possible last year,” he told the Daily FT in an exclusive interview after returning to Toronto, Canada last December, following a two-month visit to Sri Lanka – his first since he left in 1988. 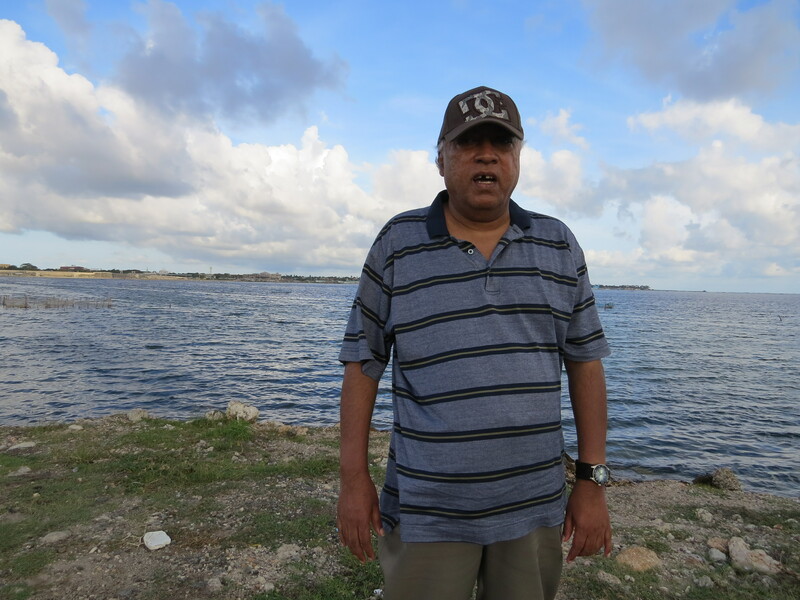 David, who stepped into the field of journalism 37 years ago when he joined Virakesari as a staff reporter in April 1977 and moved to English journalism in November 1981 when he joined The Island, left Sri Lanka in 1988 after articles on the plight of ordinary civilians suffering in the LTTE-IPKF clashes resulted in him being arrested, detained and produced in courts. Discharged when the Attorney General’s Department cleared him of any blame after many appearances in court, he was advised to leave Sri Lanka for some time. Selected for a Nieman fellowship at Harvard University, David left Sri Lanka for the US, certain he would return in a year. When June 1989 approached and the time for return drew near, the situation in Sri Lanka worsened. He moved to Canada, but when he was preparing to return after about six months, his friend Richard de Zoysa, who was among those advising David not to return yet, was killed. Then, as the war escalated, he realised there was no question of returning until peace was restored so he continued to live in Canada, waiting to come back home. During this period, he reported extensively on Sri Lanka and the war, despite being a vast distance away. After prolonged agony and anxiety, it was September 2013. Having left Sri Lanka on 14 September 1988, 25 years had passed and he was determined to return, come what may. Finally D-day dawned. 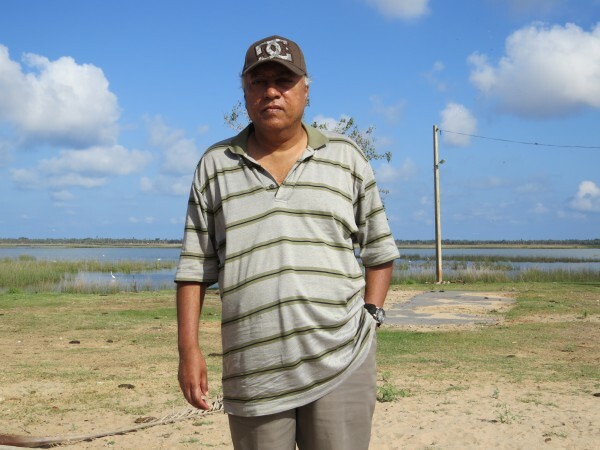 The return to his motherland was filled with emotion for David, who set foot in the Bandaranaike International Airport in October 2013, with a silent prayer on his lips and a sense of relief and happiness. In this wide-ranging interview, he speaks of his departure, return and two-month stay in Sri Lanka, during which he visited eight provinces, and shares his impressions of Sri Lanka and its people and plans for his next trip back home. Q: What were your first impressions of ‘home,’ seeing Sri Lanka after a quarter of a century? A: I was feeling rather emotional. The situation had been so complex in the past that I thought I would never be able to set foot in the land of my birth. In recent times, after returning seemed possible, I had made several plans but due to different reasons they did not materialise. Finally it had become possible and I was arriving at Katunayake in October 2013 from where I departed in September 1988. I said a silent prayer as I entered the airport building. I felt an immense sense of relief and happiness. My first glimpse of the changes in 25 years was at the airport itself. It appeared modernised and streamlined. Things seemed more organised than before. A pleasant manifestation of the changes over the years was in the form of my family itself. They were all there to greet me but, apart from my brother, I was seeing all the others in person for the first time. It was very moving. It was past midnight when I arrived and I could not see things very clearly as we travelled out on the Colombo-Negombo road. Still I was able to see the scale of development in the buildings along the road. I was struck by the number of vehicles on the road even in the wee hours. Later my brother made arrangements for my wife and me to travel about Colombo by car and see the city in daylight. I was overwhelmed by the enormous volume of traffic as well as the parked vehicles. Road travel regulations had changed considerably. The new or renovated buildings were an awesome sight. Several buildings that I looked for were not there. Even the ones that were familiar seemed cramped or hemmed in by the newer ones. After living in Toronto for decades, the buildings that I knew in Sri Lanka seemed smaller and the roads and streets narrower. Initially I felt uncomfortable at this unfamiliar, new Colombo. I felt somewhat out of place in the beginning but as the days progressed I began to feel very much at home and was very, very happy and comfortable. Q: Did you have a sense of ‘returning home’ or did you experience reverse culture shock? A: This is a little complicated as in my case I have had a very peculiar and complex relationship with Sri Lanka. Yes, physically I had been away for 25 years and in that sense I was returning home to my motherland. But mentally, emotionally and spiritually I had never been ‘away’ from Sri Lanka and so I was not ‘returning home’. As you are aware, I have been focusing on Sri Lanka and matters here in most of my journalistic writings. I keep abreast of current developments here while living abroad. In that sense I have never left Sri Lanka and so was not just returning now. Since I have kept myself informed of happenings here, there was no risk of feeling culture shock by what I saw. Still the growth and signs of visible development, particularly the roads, high rise buildings, hotels and department stores did cause some surprise because my imagination was conditioned to the time I had left Sri Lanka. The changes were somewhat unexpected but certainly not shocking. There is always a little bit of Sri Lanka in the hearts of all her children who have migrated elsewhere. In my case it is not merely a little bit, as Sri Lanka has always been in my heart in a very big way. However, I must share the sense of shock I felt after arriving. The last leg of my flight to Sri Lanka was from Abu Dhabi to Colombo. The flight attendant asked me on the flight, “Are you Sri Lankan?” and I said “Yes” without any hesitation, so she did not give me the disembarkation card to fill out and I did not realise it. After I arrived in Katunayake, the Immigration Officer asked me for it and when I replied I was not given one, he asked me to get one from the desk and fill it out. Even when I was filling it, I was doubtful and asked my wife, “What do I write here?” She firmly said, “Canadian”. That was an emotionally-upsetting moment. Here I was returning after 25 years to what I considered was my country and being told ‘you are now a citizen of another country’. As realisation dawned, I did experience some sort of culture shock but not perhaps the kind you have in mind. Q: Your visit was from October to December. What were the most memorable moments? A: The most memorable experience of all was being with my family. I was meeting my nephews, sister-in-law and brother-in-law for the first time. I kept in touch with them by email, telephone and sometimes Skype but actually seeing them in the flesh was great. I had missed out on seeing my nephews grow from the cradle. They were big now but still I got along well. I was also seeing my brother after 25 years. I also met some other relatives, including my favourite aunt. None of my wife’s immediate family members are in Sri Lanka but we met some of her other relatives. We also met several of our respective schoolmates, friends and former colleagues. Meeting those people and renewing relationships were all great and happy moments. I was also meeting friends and professional colleagues whom I had never met before. There have been several friendships built over the years via email and telephone without ever having seen each other in person. Seeing such friends and interacting was heavenly. You will understand what exactly I am talking about. Apart from meeting people, almost all the experiences I had were unforgettable. I relish all such moments and they are all indelibly engraved in my memory right now. After I returned to Canada I keep thinking of them, reliving every such moment. From the chirping of birds in the morning to seeing stars clearly in the night sky, every moment was memorable. From visiting S. Thomas’ Prep School in Colpetty where I began primary schooling to Jaffna College in Vaddukkoddai where I ended secondary school – all such moments were memorable. I cherish all those moments. Experiencing Sri Lanka again after 25 years was a very sentimental journey. Some were sad poignant moments too. Every moment seems memorable and singling out a few for specific mention does not seem possible but one delightful moment in particular was the meeting with Lester James and Sunethra Peiris at their residence. Q: What were the key locations you visited during your stay and could you describe the experiences? A: I travelled about in the island to a very great extent, from the northernmost point of Paruthithurai or Point Pedro to the southernmost point of Devinuwara or Dondra. 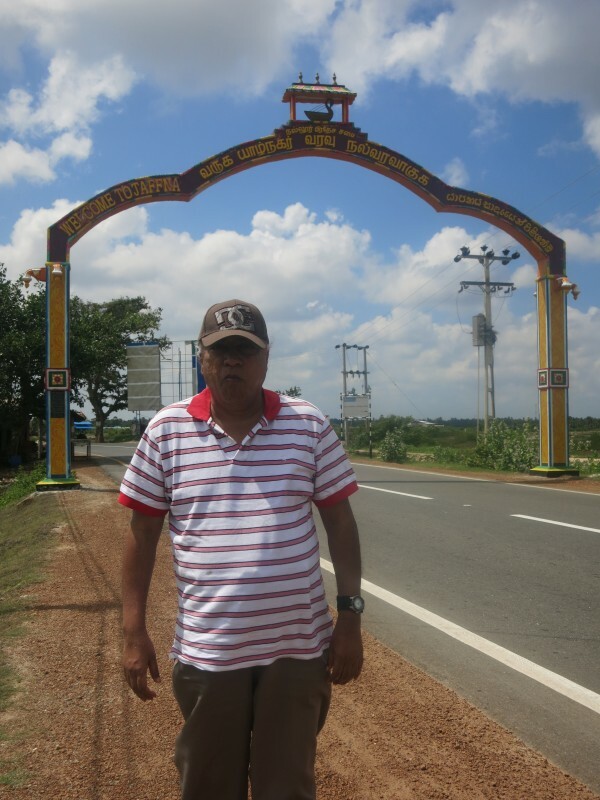 I visited or travelled about in eight provinces. The only province I missed this time was the Eastern Province. I enjoyed the Southern coast and the Uva highlands very much. Travelling along the Southern Expressway was superb. I also moved around extensively in Colombo and the suburbs. The most important trip I undertook was to the north. I spent several days visiting and staying in all the Northern districts. I first went to Mannar and from there to Jaffna. 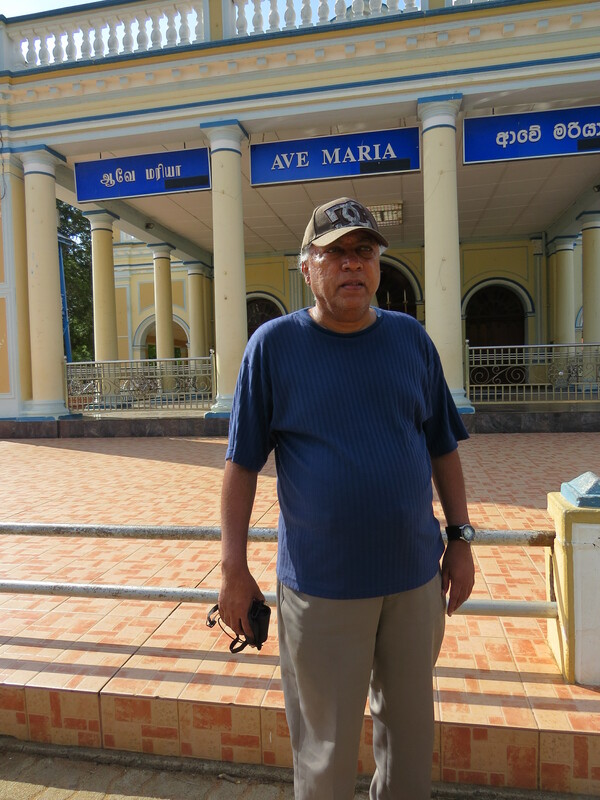 Then I went to Mullaitheevu and Kilinochchi and finally to Vavuniya. Going up north to Jaffna was quite traumatic in some respects. Many thoughts were troubling me as our vehicle progressed along the A-9 Highway or Jaffna-Kandy road. In those days there were rows of trees on both sides of the road. Now they are missing, presumably cut down due to security reasons. For some reason I was feeling rather uneasy as our van proceeded. After the prolonged absence, I felt like an outsider who was intruding. There were feelings of guilt too at deserting my land and my people in a time of crisis. Then we reached Murigandi. From time immemorial, worshipping at the famous Murigandi Pillaiyar temple (Ganesh) has been a sacred duty for travellers. Those travelling to and from Jaffna make vows here. Those going south seek divine protection for the journey and those going north give thanks for the safe return. Murigandi itself is changed now with another new road running alongside the old road, thereby easing traffic congestion as most vehicles tarry here for a while. It was dusk when we reached Murigandi. I am a Christian but my wife and our close friend Dushi (journalist Dushiyanthini Kanagasabapathipillai), who was accompanying us, are Hindus. So they went into the temple precincts while I stood outside, looking around. A song in praise of Pillaiyaar by T.M. Soundarajan was playing over the loudspeaker. According to renowned linguistic scholar Rev. Fr. Xavier Thaninayagam, Tamil is the language for devotion and the devotional song by TMS was very moving. The atmosphere was soothingly peaceful despite the traffic sounds. Then Dushi came out and daubed ‘thiruneeru’ (holy ash) on my forehead and also placed the ‘santhanam’ (sandal) and ‘kungumam’ (vermillion) pottu. She then took me to the ‘katpoorachatti’ (camphor pot) and got me to burn pieces of camphor. My wife also joined us with the temple ‘prasadham’ (food offered to God and shared by devotees). Suddenly I felt relieved and serenely happy. My troubling thoughts ceased. I was back in the north where my ancestors had lived for generations. I was back in my traditional homeland. I was home. It was a great feeling. It was during night that we crossed Elephant Pass into the peninsula. It has always been a significant moment for me when crossing ‘Aanaiiravu’. It is then that one gets the feeling of Jaffna as the topography and landscape changes thereafter. We see the curtain of cadjan fences and the abundance of palmyrah trees. Entering Jaffna again was very gratifying as there had been a time when I thought I would never get to be there again. When I went to my mother’s village Kaddaively, the postal address of which is Thunnalai South, Karaveddy, I found myself alienated. I was a stranger there. Though born and bred in Colombo, it is my mother’s village with which I identify myself. We used to visit each year for the school holidays and I retain very pleasant memories of the many uncles, aunts and cousins there. Today there are no close relatives living there now. I went to see our ancestral property, which now belongs to somebody else. I recognised some of the trees in the compound but not the abode, which has been restructured. The old well remains and I drank some water from it. Our village was once famous for its evening market ‘Koyitsanthai’. It used to bustle with so many women selling their wares. We would buy titbits and munch away. Nowadays the market convenes in the morning and winds up by noon. Most of the better-educated people have moved either to Colombo or abroad. The Methodist Church to which my family belongs and the Nunuvil Pillaiyaar Temple where my Hindu relatives worship are there still, with a renovated appearance. Elaborate construction work was going on with diaspora funds. Sadly worshippers in both temple and church are declining as the people have moved away but funds are pouring in from abroad to enhance the structures. This is the story not only in my village but in most other Jaffna villages too. 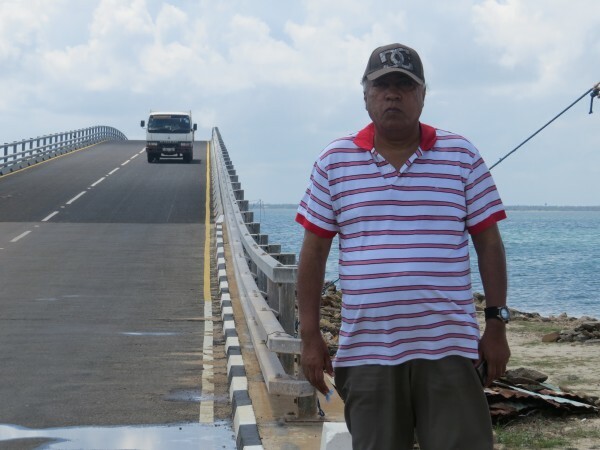 Another upsetting experience was that of travelling about in Mullaitheevu District and seeing firsthand the Mullivaaikkaal and Nanthikkadal area where the final phase of the war was fought. I know and have written about the deaths, displacement, destruction and despair that took place during the war, but when I saw the places concerned, I could feel the agony and suffering the people must have endured. I could imagine hearing the reports of gunfire and explosions. I could imagine listening to the wailing and weeping. It was most depressing. The time I spent in Kilinochchi at the ‘Sencholai’ orphanage run by KP was pleasantly uplifting. The positive morale, warmth and affection of the children touched my heart. There is one other uplifting experience I must mention here. 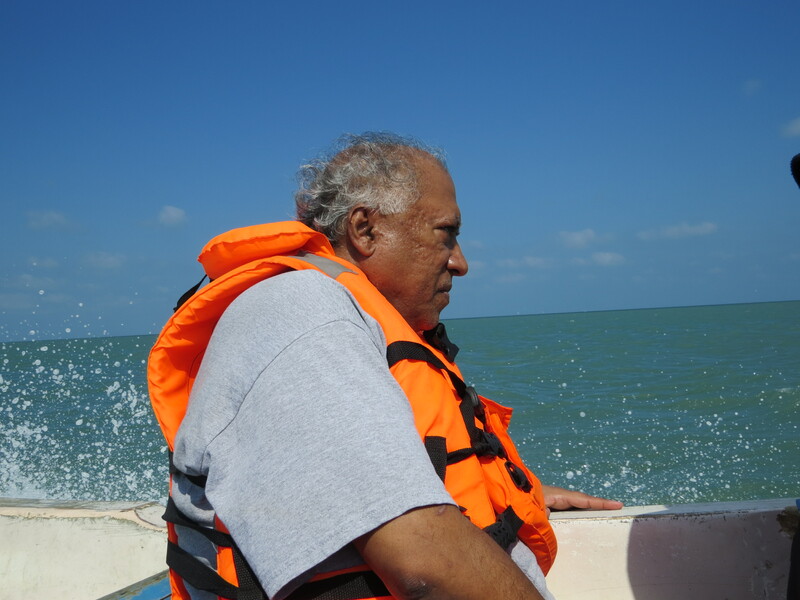 This was the peace and tranquillity that I felt at Madhu in Mannar District. I sat both inside and outside the ‘Sebamaalai Maathaa’ Church (Our Lady of the Rosary) in Marudhamadhu and reflected pensively. It was quiet and the atmosphere was tranquil and peaceful. I have written about the mystique of Madhu before and I now felt it again. I gazed intently upon the Mother Mary statue that had been moved to Thevanpitty during the war and had later been brought back. The war was now over and the Sebamaalai Maathaa too had returned. Now I too had returned, but……………. I could go on and on about these experiences and emotions but will stop here now. Q: You returned to Sri Lanka after 25 years. What made you decide to visit after staying away for so long and how would you describe the weeks in the run-up to your visit? A: The thought of return has always been there. Please let me explain this with a little bit of personal history. You see, I was not one who sought to go abroad seeking greener pastures. What happened was that in October 1987, I was in Jaffna when war broke out between the Liberation Tigers of Tamil Eelam (LTTE) and the Indian Army known as the Indian Peace Keeping Force (IPKF). 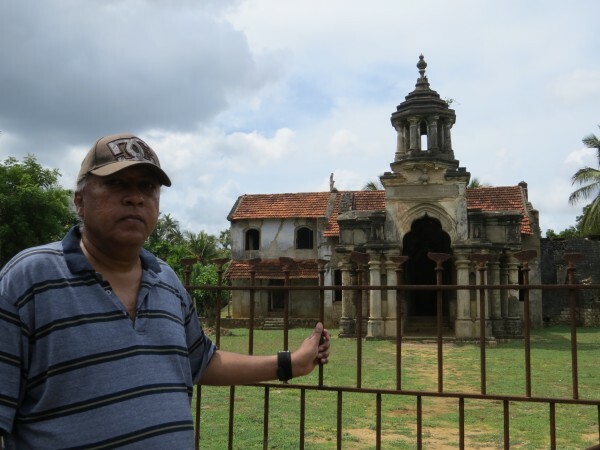 I returned to Colombo through a devious jungle route with lots of information, documents and photos about how the ordinary civilians were affected and how they were suffering in the LTTE-IPKF clashes. The Sunday Island of 25 October 1987 went to town with the material I had brought. We announced that some features would continue too. Among the stuff we published was an interview with the then Deputy Leader of the LTTE, Gopalaswamy Mahendrarajah alias ‘Mahattaya’. All that was sensational at that time. The Island was sold out. The Indian diplomats in Colombo, who had hitherto been projecting an impression that everything was hunky-dory in Jaffna and that civilians were not affected, got irritated. I was arrested on 26 October for inquiries about the Mahattaya interview and detained at the fourth floor. I was told by a Police officer that the idea was to “keep me quiet until the Indian Army finishes the job”. Fortunately for me there was a huge outcry from media colleagues in Sri Lanka and outside. Due to a combination of reasons which are too detailed to elaborate here, I was produced in court after five days of detention and released on bail. I was forbidden to travel outside Sri Lanka. The case was heard at regular intervals where the Police first said they are investigating me and later said that the file had gone up to the Attorney General’s Department. Finally the AG’s Dept cleared me of any blame and I was discharged. Meanwhile, many of my friends were worried about my situation and felt that I should go away from Sri Lanka for some time. Since I was prohibited from travelling outside, they felt that I should apply for a scholarship overseas and utilise that as a valid reason to get the travel ban lifted. So I reluctantly began applying and thanks to the help of Dr. Neelan Tiruchelvam submitted an application for a Nieman fellowship at Harvard University also. I was selected almost at the same time that the courts ruled there was no case against me. However, I decided to go to the US as the Nieman fellowship was rather prestigious among journalists. I was sure that I would return in a year. When the then Nieman Foundation Curator Howard Simons asked me whether he was to make arrangements for me to stay in the US indefinitely, I declined saying I was definitely going back. But as June 1989 approached and I prepared to return, the situation in Sri Lanka got worse and a whole lot of friends in the media including Richard de Zoysa advised me not to return at that stage and instead wanted me to stay away for some time and then come back. So I came over to Canada and stayed with a cousin. After about six months when I was getting ready to return, Richard himself was killed. Many of his journalist pals had to leave the country. I too panicked and stayed put in Toronto. I then started a Tamil weekly with some partners and after a while began another on my own. I also got married. As the war escalated, I realised that there was no question of returning until peace returned. My wife was firmly against the idea of returning while the war continued. After Chandrika Kumaratunga came to power and peace seemed a distinct possibility, I made plans to return, but war erupted soon. Later another peace interlude dawned in 2002, but by that time I knew the LTTE was not sincere and simply waited for war to resume on a large-scale again. So the war continued in Sri Lanka and I continued to live in Canada. After the war ended conclusively in 2009 and presidential and parliamentary polls were held in 2010, I felt the time was ripe to return. Due to complex reasons, including concerns over my safety and security among family members and close friends, the return got delayed. Matters simply dragged on. It was prolonged agony and anxiety for me during this time. And then it was September 2013. It was on 14 September 1988 that I had left Sri Lanka; 25 years had passed and I was now determined to return, come what may. Since the Commonwealth Summit was imminent, I felt lesser mortals like me would not attract much attention and that a low-key visit was possible. So for sentimental reasons I bought my air ticket on the same 14 September date that I had left Colombo in ’88. As the days progressed and my departure from Toronto drew near, I was very, very excited and somewhat tense. Details of my trip were known only to family members and a few close friends. To many in Toronto I said we were going to New Zealand where my wife’s brother is living. Finally D-day dawned and I was on the plane. Q: All these years, did you ever think you would set foot on Sri Lankan soil again and now that you have, will you return? A: The hope of return is always there. It is this hope that sustains a person in exile living away from the mother country. I do not regard myself as an emigrant though I have been away for so long. I consider myself to be an émigré. An émigré is one who has migrated out with connotations of political or social exile. Traditionally émigrés see their stay in a country other than the land of birth as a period of enforced exile necessitated as a temporary expedient. I once read somewhere that the difference between an emigrant and exile is that an emigrant makes a conscious decision to seek a new life in a different country whereas an exile thinks he or she is only staying temporarily in the new country and that one would return soon to the old country to which one really belongs. As I have stated earlier, the circumstances of my departure from Sri Lanka and what followed thereafter placed me in a state of self-exile. What sustained me in Canada over the years was my continuing to relate to Sri Lanka through journalism and the hope of returning one day. Yes, there were times when I felt I would never ever be able to return to Sri Lanka, but then I would recover gradually from such negativity. But the conditions were not conducive to return and my family was vehemently opposed to such an idea as long as the war was on. My mother came to Canada to see me and passed away here. My mother came here because she felt I should not come to Sri Lanka. I could not attend even the funerals of my father, my sister and people like Dr. Neelan in Colombo. Though I came to Canada in 1989, it was only 15 years later in 2004 that I took Canadian citizenship. It was in the same year that I bought a home. Earlier I had been resisting the idea of putting down roots in Canada because I used to think I was going back soon. However, I began feeling at one point of time that the hope of return was a mirage. Things changed after May 2009 and once the war was over and the process of normalcy got underway, Sri Lanka kept beckoning. Though I could have visited India or Singapore and got my family members down there, I did not. I was opposed to the idea of meeting my family in another country. I somehow felt I should meet my family in Sri Lanka and not in the neighbourhood. Also it was too much for me emotionally to travel all the way up to India or Singapore and not set foot in Sri Lanka. The hope of return loomed larger and larger after the war ended and finally it became possible last year. When I arrived I was feeling a little insecure and unsure of what lay in store for me here. I even thought this trip may be my last trip. After some days I felt secure, reassured and confident that I could be in Sri Lanka again. And yes I do hope to return again and this time I won’t be feeling insecure or tensed up as I was the last time. Q: What are the places you wish to visit during your next trip that you couldn’t visit due to time factors during the first? A: There are many. Next time I want to spend some time in the Eastern Province, especially Batticaloa where I have worked as staff correspondent for the ‘Virakesari’. I missed the province entirely in my trip. I also want to visit the islands and islets off Jaffna, particularly Delft, which I missed. Other places I want to spend some more time in the next trip are Anuradhapura, Polonnaruwa, Kandy and Galle. I also want to see Yala and Wilpattu sanctuaries and the Sinharaja rain forest during the next trip. Apart from places, there are also many people I want to meet. I could not meet all the people I wanted to during this trip and I also could not spend as much time as I wanted to with some. Q: Could you outline your memories of Sri Lanka from when you were here in the ’80s – especially in relation to the places you lived in – and how things have changed from what you remember? A: The situation has changed considerably, particularly Colombo. I felt like Rip Van Winkle waking up after sleeping for years to find everything changed. In my case I was aware of what was happening in Sri Lanka but was unprepared to see the concrete changes directly. One glaring change from the time I left in 88 was the prices of everything. This lesson was brought home to on my first morning in Sri Lanka.I had not encashed the dollars and only had 10,000 rupees in Lankan currency with me. At the time I left Sri Lanka this sum amounted to what I was earning for a month then. So here I was going to a supermarket to buy some things with what I thought was a lot of money. But after I started putting the stuff in a cart and started moving to the counter I got a little worried about the hefty price tags on some of the things. So I made a mental calculation. I discovered the total sum of the things I had bought exceeded the Sri Lankan rupees I had in my pocket. Sheepishly I put some things back on the racks. I had plans of walking along many roads and streets I was familiar with. But when I arrived, the city was being beautified for the Commonwealth Summit and I found it very difficult to walk freely as I had envisaged. Besides, the heavy volume of traffic was overwhelming. I found it rather unnerving at first to even cross the Galle Road. Those days of jaywalking and flitting from one side to the other, randomly zigzagging among vehicles, seemed history now. Roads and highways are kept in good condition.The new system of traffic regulations was also difficult to comprehend at times. If you missed a turn, then you had to go some distance and then return. Many roads were one way. Numerous vehicles were parked by the side. I wondered what would happen if all the parked vehicles were also plying on the roads with others instead of being stationary. Travelling in three-wheelers along the roads of Colombo and suburbs were a fantastic experience.These guys like nature abhor a vacuum and move in quickly to fill any gap amidst vehicles on the road. They literally and metaphorically “weave in and out of traffic”.I was also struck by the images of Bob Marley and Che Guevara on many”tuk-tuks”.When I questioned the drivers I was amused to find they were not familiar with both of them. Many of the houses and buildings I knew were not there. The existing ones seemed dwarfed by the new giants. My nostalgic attempt to visit the places I had lived in resulted in feelings of sadness at times. I found the house we had lived in at Aloe Avenue, Colpetty demolished. A new building is likely to rise in the venue. The place I stayed in at Galpotha Street, Kotahena is now replaced by a luxury flat. I could not locate even the lane we lived on those days in Hendala. It was only in Jaffna that the house I stayed in at Swartz Lane while working for “Saturday Review”weekly remained as it had been then. I even saw the wooden bed I had slept in. Another disappointment was cinema theatres.Seeing films was and is a favourite pastime. Many of the old theatres which I frequented regularly are no more. Some were lost memories. For example, people in the vicinity of the landmark banyan tree had not even heard of the old Empire theatre. Some like the Regal remain, but retain a jaded look. The old Majestic theatre has given way to a shopping complex by the same name that has a cine-theatre plaza. The price of tickets has skyrocketed. What a far cry from the old days. Still I did manage to see three Hindi, two Tamil and one Sinhala movie. I liked the Sinhala movie ‘Butterfly Symphony’ by my old colleague at Upali newspapers Jayantha Chandrasiri the best of all. Some of the pleasant changes in Colombo seemed to be the comparative cleanliness and an aesthetic sense of beauty visible in many places. The Marine Drive was a refreshing feature. So too were the jogging tracks and walking paths. I used the jogging track in Wattala near my brother’s residence very often. It is by the side of a pond. At nights it is lit up by solar power. I saw twinkling fireflies when I walked after dusk. I saw many water birds when I walked there in the mornings. In front was a stall selling ‘kola kenda,’ which was most refreshing after a long walk. Most of the small boutiques and eating houses prevalent in Colombo were missing. The pavement sellers were very few. Supermarkets and uptown restaurants are galore. Space is shrinking for the ‘little people’. I searched for fresh “achchaaru” wrapped in leaves sold by women but could not find anyone. The young girls selling Cadju on Kandy road are old women now. A new upwardly mobile class has emerged. This segment is not very fluent in English, which was an attribute of the upper classes earlier.The usage of Sinhala as the language of communication is widely prevalent now.My Sinhala that had turned rusty underwent a minor renaissance through necessity. Signs of development were strikingly visible everywhere. The old order has given way ,was giving way and will give way to the new.I suppose change is inevitable and the changes I experienced are signs of progress. Still I did feel a sense of loss and regret for a way of life that would never come back to me. Q: What were the main memories of Sri Lanka that sustained you during the last two-and-a-half decades in Canada? A: A myriad of memories, Marianne. Whenever I read or hear about an incident or event in Sri Lanka, my thoughts rush back in time to some related thoughts. If not for my journalism I may have simply wallowed in memories, but thanks to my being able to write on Sri Lankan developments to Sri Lankan media, I found an avenue to move away from such memories whenever possible. However, one change that I felt after some years of being in Canada was the feeling that I missed Colombo terribly. I was born in Colombo and grew up there. I have worked in Colombo and lived there for years. I slowly realised that I loved Colombo very much, so seeing and moving about in Colombo made me ecstatic. Initially I found it difficult to adjust to the changed city and lifestyle. After a while I got used to it and began moving about easily. After returning to Toronto, I yearn wistfully for Colombo. I hope to write about these experiences in the days to come. Q: Did your visit live up to your expectations and memories? A: Yes, very much. There were some shortcomings and disappointments, but on the whole it was really great. Meeting my brother, in-laws and nephews in person and several relatives and some intimate friends were the highlights that made the trip worthwhile. I was glad to find the traditional hospitality and friendliness for which Sri Lankans are famous for remains still despite the ill-effects of war and materialist notions. These are but some of the simple experiences that I missed in the past and relished re-living them again. Of course the passage of time had taken its toll and I was not able to move about as fast as I did those days.Though older in years my heart and mind raced back in time.I was radiantly happy.It was as if I was recharging my batteries.I felt energetic and enthusiastic. The stay in Sri Lanka resulted in my health improving to a great extent. After I returned to Canada people tell me that I look different and seem very happy.Yes the trip to the land of my birth after 25 years has transformed me positively.I feel truly blessed and thank God for making the trip possible. Q: As a journalist, you have been writing about Sri Lanka from Canada for two-and-a-half decades. Has your visit changed your perception of the country and if so, how? A: Yes. I have been writing on Sri Lanka from afar. I have been to some extent an outsider with insider knowledge. The primary focus of my writing has been on politics or politics-related matters. But during my trip in Sri Lanka, I avoided politics. I did not meet a single politician except for one, whom I ran across by accident in Church. I declined invitations from many politicians who wanted to meet me and from political associates who wanted to arrange meetings. I did not contact even those politicians with whom I kept in touch from Canada. This was because I wanted to avoid politics from affecting my stay in Sri Lanka in any way. Not only did I avoid politicians, I also did not meet any Government official, diplomat or officers from the Police or Armed forces except for junior Police and defence personnel whom I ran across as an ordinary tourist and not as a journalist. 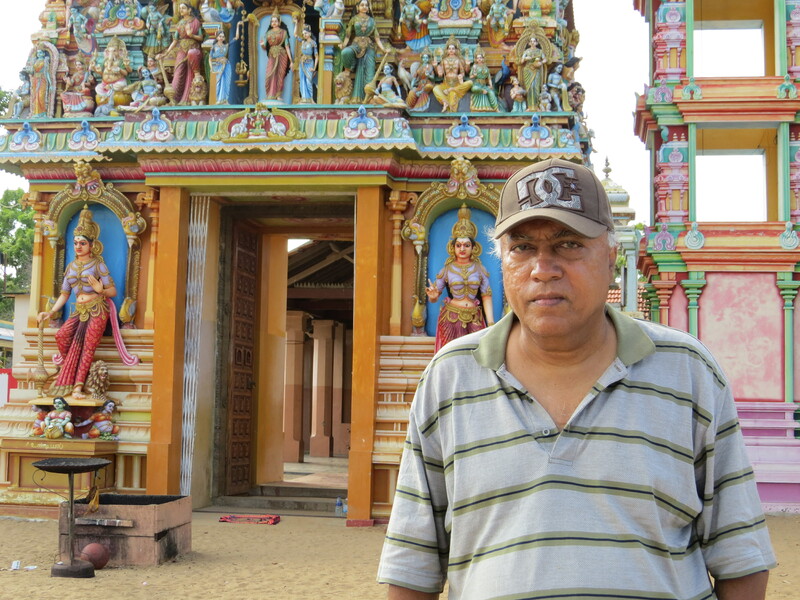 I wanted to experience Sri Lanka from the perspective of a common man and not be coloured by political views of any kind. This I did and have gained tremendously by that experience. In recent times I have become disgusted with the practice of politics and the conduct of politicians in Sri Lanka. This feeling has got more enhanced after this trip. The needs of the people and the needs of the political class are different and there is a disconnect. What amazes me is the resilience and tenacity of our people, who have lived through a bitter conflict and are now trying to rise up. What troubles me are the growing burdens heaped on them, particularly the cost of living. I stand humbled by the endurance and perseverance of the people who did not abandon their motherland as I did. The least that I can do is to focus more on their plight and their struggle to better their lives, despite the overwhelming odds. To use journalistic parlance, the story today is not of conflict or confrontation, but that of the post-war renaissance, people-to-people reconciliation and ethnic amity. In my own small way, I want to reflect and record this shift. At the same time I realise that the whole story cannot be told through traditional journalism alone. On another level, I also want to focus more on other subjects instead of politics. I realise that I cannot avoid politics altogether, but I do want to write more on other topics that interest me. Films and film-related matters are of great personal interest to me. I want to explore this area and see whether I could perhaps write and sustain a regular column on those lines. There are other interests like wildlife, literature and the arts. These are all ideas and as Doris Day sang famously, ‘Que Sera Sera’. Q: You have consistently surprised readers with your many exposés and exclusive articles, particularly during the height of the war, especially given the highly detailed information in your articles. How did you do this from across the world? A: Thank you for the complimentary words. Yes, it has been a tremendous challenge to write about Sri Lankan matters to Sri Lankan newspapers while living in Canada. Editors and journalist colleagues know how difficult this is and their appreciation along with the positive responses of the readers is what has kept me going. The price paid for this is the state of my health and finances. I break rest daily to communicate with contacts in Sri Lanka. This dual existence of living physically in Canada and mentally in Sri Lanka extracts a heavy toll. My Doctor has said that my health is deteriorating due to my not delinking from Sri Lanka. I desisted from taking up employment in a Canadian media institution because I wanted time to focus on Sri Lanka. A just peace in Sri Lanka was and still is my ideal. Also the time I devote to Sri Lanka deprives me of added remuneration in Canada, not to mention the costs involved in telephoning. As for the query ‘how do I do it?’ my reply is that I can’t reveal tricks of the trade. But I can say that I have been lucky in gaining access to and sustaining contact with a whole lot of reliable, informative sources.There is a lot of hard work involved as painstaking digging is required to unearth the truth. Q: What is your advice to journalists living and working in Sri Lanka today? A: It would be inappropriate for me to advise media colleagues living and working in Sri Lanka amidst trying times. I have a lot of regard and respect for some fellow scribes who are doing a great job despite the constraints and limits. Some of the youngsters are dedicated, industrious and simply superb. They rock!I was very happy to meet some of them. However, I would like to make one observation. A journalist may not be able to write all what he or she wants to because of external constraints, but no journalist should write what he or she does not want to due to external pressure. Being true to yourself is all that matters in the final analysis. Q: Now that you have seen Sri Lanka for yourself, what message do you have for Sri Lanka’s diaspora? A: The diaspora is not monolithic, though a vicious minority is hogging the megaphone. I know of many members of the diaspora who are helping out with humanitarian causes apart from aiding their own relatives. May their tribe increase. There is a lot more that can be done by truly concerned expatriates. The only suggestion I have for the diaspora is that they should visit Sri Lanka and see for themselves the prevailing situation. If they see (and I am sure they will) a worthy cause or a crying need, then they should do something either individually or collectively to support or rectify it. It is better to light a small candle than curse the darkness. « Wayamba vs Uva Battle Unfolds as Best of Buddies Dayasiri Jayasekera and Harin Fernando Brawl Before TV.